XStitchbee!! 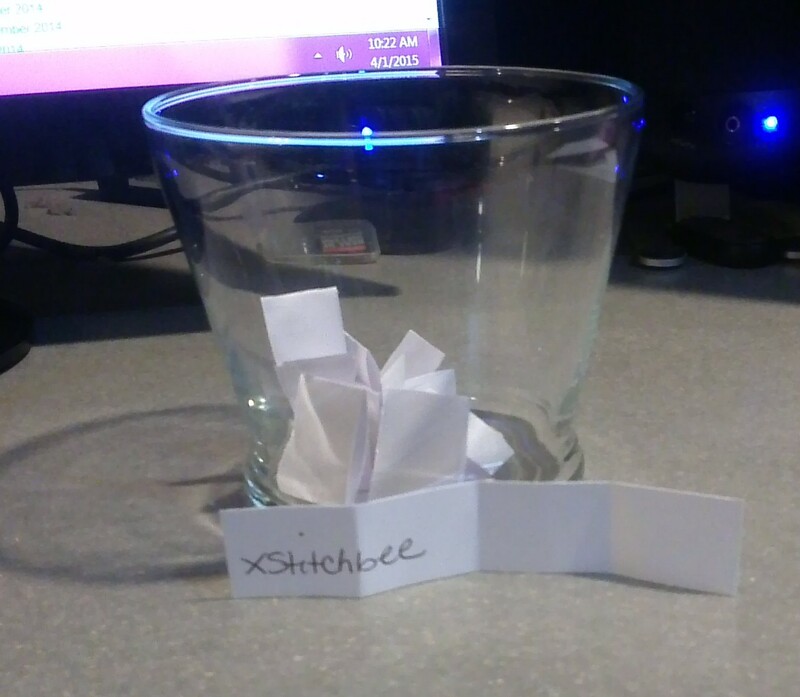 You have 24 hours to get me your address so I can send you your prize package. You can email me at stitchingginny@gmail.com Thank you to everyone that dropped by my Little Ole Blog. I have enjoyed visiting your blogs this week also. 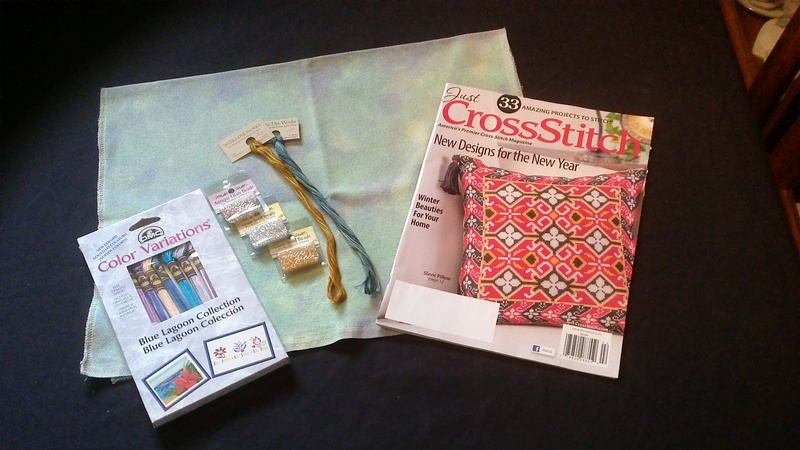 The prize package includes a piece of 32ct Lugana Solo from Silkweaver measuring 16 x 25 ( a definite mistake in ordering as I don’t stitch on 32ct, but the fabric is beautiful! ), The February 2015 issue of Just Cross Stitch Magazine (I renewed my subscription and received this one after I had purchased it) My favorite model stitcher stitched the cover 😉 A package of DMC Color Variations-the Blue Lagoon Collection. I liked the colors so much I purchased it twice; a couple of Weeks Dye Works threads and 3 packages of Mill Hill beads.